While most students are familiar with the LBRP as it is written in the Golden Dawn texts, and related sources, it is essential the ritual be understood in it multi-faceted format. The LBRP is more than just a preparatory banishing, or cleansing ritual, done prior to meditation or other ritual work, for the increase in psychic force. In this aspect the ritual is different because it cleanses and area for working, as opposed to regular banishing which release or disperse energy previously invoked during the ritual. The ritual also has an invoking mode, and can be used as is, to allow an opening of the four Quarters of the ritual circle for an increased awareness of the individual Elemental energies present. While the banishing mode of working should be done for three to six months on a regular basis (anywhere from three times a week to three times a day), after this period of probation and learning the mechanics as well as some of the effects of the ritual, it should then begin to follow it up with it invoking form. Perform the ritual of the Pentagram - the banishing version - in order to induce a thorough cleansing and eliminate the psychic impurities which lately have penetrated the environment. Collect your thoughts, and relax as deeply as possible. Perform the opening ritual of the Pentagram in order to open yourself to the psychic and divine influences. Practice the exercise of your choice [i]: meditation on the point or invocation of the Names, or both. A) Meditation on the Point: is the direct method. It is very difficult because you need to attain an inner state in which you cannot even think that you no longer think….complete mental emptiness permits us to resonate with Kether. With your eyes closed, visualize a sphere of light. Do not get tense. Visualize this sphere as it progressively shrinks until it becomes a very bright point. Sometimes, when the experiment is successful, the point becomes so bright that it seems black. At that moment, you know you have reached the energies of Kether. B) Invocations: the indirect method. …During the first sessions, pronounce the Names in increasing order: in Assiah, in Yetzirah, in Briah, in Atziluth, as an attempt to raise consciousness from the heavier to the more subtle. Then after 8 to 15 days of practice, perform a second invocation immediately after the first one reversing the order of the Names in an attempt to bring the energy down through resonance until the level of consciousness is the lowest. It shows that the Lesser Ritual of the Pentagram has both active and passive phases. It can be used as a preparation for a sepherothic meditation. he Names of the spheres have two phases as well, and can be used in more than just the usual ‘top down’ direction. The energies are invoked and left in us, and not banished away after a period of absorption. When the ritual is done as a banishing, and is immediately followed up with an invoking pentagram for all four Quarters using the Divine Names specific to each Quarter, the feeling is an intense heaviness, like one is being wrapped in a wet blanket. This energy needs to be absorbed as best as possible, and then an additional and final banishing needs to take place to release any excess energy present. In some instances, the energy will become more bearable, and need not be banished, but instead can be carried with the person doing the invoking thereby increasing there personal energy level. This heaviness is a result of the fact that the pentagram being used is an Earth pentagram and brings with it a very real and solid sense of the energies being invoked. These energies in short, exist just beyond our sensory realm and are seeking an avenue of materialization. After experience has been acquired in the combined banishing and invoking uses of the ritual, it is advisable to move on to using its form to open and close the individual Quarters of the ritual circle. This should be anywhere from six to nine months into the ritual work depending on the individual skill of each practitioner. The formulae is the same, banish completely, and after the final statement of the Qabalistic Cross, turn to the East, perform an invoking pentagram (here of Earth, since this is the only pentagram known at this time) use the Divine Name for the East and declare the Eastern Quarter open. In addition, there are two additional activities that can be undertaken regarding the Lesser Ritual of the Pentagram. The student can imagine that he is surrounded by four pentagrams, and that there is a hexagram above and below him. Both should be flat so as to give a ‘floor’ and a ‘ceiling; to the ritual space. An alternate method is to imagine oneself in the godform of Hooparcrates, thus concentrating the force of the aura back into the magician, fortifying and strengthening him/her. Crowley states, that when we do the ritual we can also imagine that we are standing at the intersection of the paths of Samek and Peh on the Tree of Life. In the East we are facing Tiphareth, at our right hand is Netzach, to our left is Hod, and Yesod is behind us. Stepping forward with our right foot, vibrate the Names as given in the ritual, recovering after each invocation. Then, proceed around the circle again, calling the Names of the Archangels. If the ritual is done correctly, the angels will appear spontaneously, as will the Hexagrams above and below us. East - YHVH, Mizrach, Ruach, Chassan. South - Elohim, Darom, Eash, Aral. West - El, Marab, Maim, Talihad. North - Adoni, Tzaphon, Aretz, Forlock. The Names are vibrated immediately after the drawing of each pentagram. After they are completed, the operator pauses and visualizes the pentagrams in their respective colors flashing and blazing, connected by a brilliant white electric line. The Archangels are visualized as more abstract concepts, and not in their usual anthropomorphic forms. Raphael is imagined as a vast billowing breeze, or piece of yellow fabric, with violet highlights, blowing in the wind. Michael is imagined as a blazing column of fire, with highlights of emerald green and a shining sword at its base, with a red handle. Gabriel is imagined as a column of light blue mist and flashing orange highlights dominating. A cup or chalice of deep blue crystal is seen at its base. “That is why man can attract to himself any force of the universe by transforming himself in a receptacle suitable to this force, establishing thus a link between himself and this force taking the disposition necessary for the created conditions to let this force flow towards him. But if he has the feeling of being separated and opposed to the universe this constitutes a barrier to the faculty he possesses, that of directing its flow. This state of mind acts on him as an insulating force. The universe of the scientist is on a part - and a part only - of the whole reality. The human will is a real and tangible force likely to be developed, trained and focused. This will can be disciplined and be then able to induce modifications in the environment and produce supranormal effects/results. This will can be directed by the imagination. The creation is the result of an active and passive force. The universe is not the result of random factors and influences, but an orderly and coherent system of correspondences. Arrived at the intimate and deep understanding of these designs and correspondences, the occultist can use them as he pleases for all aims he will deem useful. The Kerubim are the four principle guardians of the astral-material realm. They are the ‘gate keepers’ of humanity and are the co-workers, or servants of the Archangels of the Quarters. Through the Kerubim, the invisible energies are mediated and made potent so that they can manifest. The Kerub are the angelic order of Yesod, and are immediately beyond the ‘veil of matter’ and of the Lunar realm. The kerub can be imagined in several manner, but all have the same thing in common - their ‘animal’ qualities. In “The Secret Symbols of the Rosicrucians of the 16th and 17th Centuries” the Kerub are simply displayed as winged, or double winged in some instances, beings. Hence, for the east we have a winged man, or and ‘angel’; in the south a winged lion, the west a winged eagle, and the north a winged bull. In some instanced the eagle has two sets of wings to show that it is not a litter eagle of this world. B) assume that spiritual forces are superior to themselves in intellect, power, and expression and therefore they should be obedient or subject to them. These two views are false, and critically destructive to aspiring students. We must seek to assume our proper place in the Universe as gods “in becoming” and have a healthy, loving, and respectful attitude to all beings and forces. However, if we don't conceive of ourselves as dominant over, and having the ability to direct, our own internal instinctual forces, then we will be powerless to effect them in the material or astral (ie. Subconscious) realms. East - Adam - (Hu)Man - brings clarity of vision of the inner and outer worlds. On the level of Assiah - increased health and awareness. Intake of actual air itself. On the level of Yetzirah - control of the emotions as a result of the former (pranayama). 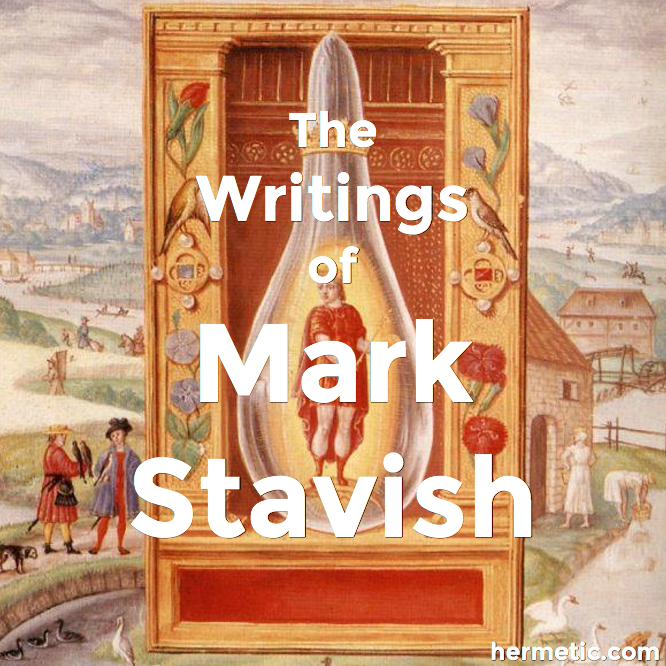 On the mental - clear understanding of the relationship of things and astral visions. On the spiritual level it is individual consciousness, life itself, Ruach - the soul of everything. South - Lion -brings energy and strength to our work. In Assiah it is actual fire itself, and all forms of electro-magnetic radiation. It is the life giving force of the sun that allows for matter, consciousness, and light to exist in our world. In Yetzirah it is the energy of emotions that move and enliven our inner worlds and allow them to manifest in Assiah. In Briah it is the power of the Soul. In Atzilooth it is the first primordial energy and the force behind all creation. West - Eagle - brings the magnetic, form building qualities into existence. It is the reflective part of our psyche, and as such, predominantly passive. It is emotional and empathetic. In the world of Assiah it is water itself, and all fluids. Water is known for its abilities to hold a psychic charge when cold, as well as fix it for a period of time when frozen. In Yetzirah, the World of Water, it is in part the “Mercurial fluids” of the alchemist, connecting the higher realms of Briah with the realms of matter below. It is the force or energy that penetrates all creation and binds it together. It is the downward forcing energies of matter. North - Bull - brings power, density, virility, and slow moving stability to creation. In the world of Assiah it is all things that are dense, solid, inert. In Yetzirah it is the forces of density and fecundity (Venus and Luna) seeking expression in tangible form. In Briah it is the Philosophers Stone, the perfect expression of Divinity in matter, and in Atzilooth it is template of all possible limitation (Cube of Space in Sepher Yetzirah). While mediations on Yesod will give greater understanding of the Kerubim as individualized expressions of the cosmic force working through the Quarters (just as the Archangels are the individualized intelligence working through them), only meditations of Tiphareth will give understanding of their function, and Kether of their origin and purpose (to sing Divine Praise eternally!). Meditations on Chesed will give an understanding of their basic programming, or ‘plan’ for matter; and meditations of Geburah will give the strength and power to actually control and direct them consciously, willfully, and without fear. In this regard, the Tarot card of The Chariot best exemplifies the meaning of Mastery. 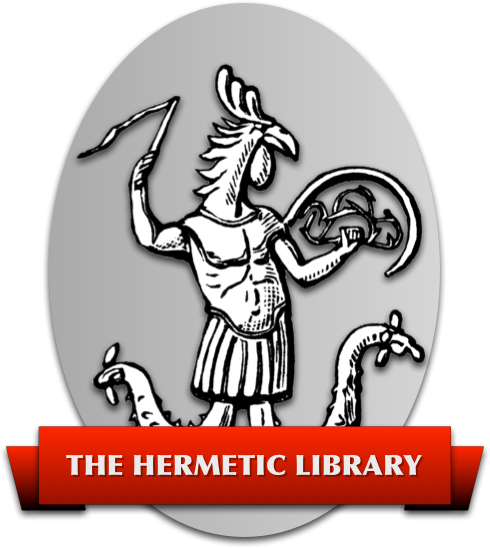 Meditations on Hod will show the various patterns or relationships between the Elemental powers of the Kerubim, and meditations on Netzach will reveal the relationship of the Elements to the seven ancient planets (and psychic centers) of astrology. Meditations on Hockmah will further explore their relationship to the fixed signs of the zodiac, and on Binah for how they express and form matter. The kerubic function as an expression of cosmic ‘inertia’. After completing all 22 Pathworking meditations from Malkooth to Kether, at least once, it is advisable to contemplate the relationship between the Kerubic Signs and the Elements. This can be accomplished by placing the tarot card for the appropriate Sign in the Quarter, or by using it as an psychic gateway for that Element. It is important that this not be done until the appropriate paths have all been experienced at least once, as the energy they release is of a very fundamental, and creative nature. Remember, the higher on the Tree we go, the deeper (or lower) into our psyche we travel. The creative forces at the top of the Tree are impersonal, powerful, and sexual in nature, because, they are the oldest forces in existence, and existed well before the development of our intellectual faculties. The god forces experienced at the top of the Tree are a tremendous, creative, and joyful pressure, that will exacerbate whatever character traits, inclinations, or physical phenomena that it contacts on its way down the Tree. This is the element of great elevation, optimism, and humanitarianism. The card shows us that all is in motion, and that the continued pouring forth of the waters of Binah allow for creation to take form, just as these waters on a lower arc, the 'astral sea' of Yetzirah, take form in the world of matter. Our thoughts must guide our emotions, if we are to allow our emotional waters to guide our life. In Crowley's “Thoth Deck” the card shows every form of energy as a spiral, further illustrating the nature of ascending and descending (or materializing and de-materializing) force. Through clockwise and counterclockwise motion, energy and matter come into and out of being. Through the ascent and descent of these forces, we can elevate our consciousness to new levels. “This sign is one of the two most powerful in the zodiac, but has not the simplicity and intensity of Leo.” Here the gatekeeper of our deepest feelings and emotions is encountered. It is opposite Air in that Air gives elevation and inspiration, but it is the swirling force of our psychic waters (our deep and focuses emotions) that things take on form and life. This Quarter can truly be seen by many as the genuine 'Terror of the Threshold“ when it is encountered. As Earth, or material creation, in its most stable form, the Hierophant reminds us of the goal of all esoteric practices, the union of the microcosm and the macrocosm. By directing the creative power of the zodiac into the prima materia, mastery of the Four Elements is attained. The Kerubim in involution and evolution. The most significant aspect of the Kerubim is that they act at great forces holding the universe together, and restraining unbalanced forces from manifesting. Yet, the power they represent is a totally unconscious force, as it resides in Yesod, just behind the veil of matter, and is instinctual. It reacts to the principles of electro-magnetism at best, following the path of least resistance. A close study of the effects of the moon on the earth would yield some additional insights into this area. This unconscious energy of the Kerubim is most easily manifest through sexual power (as for the women, the fertility cycle is marked by lunar periods); as well as psychic impulses and sudden intuitions, dreams, etc. All of these things occur through the Kerubim, but manifest in the material world. The location of Yesod is in the sexual organs of each of us, and Malkooth in our feet. However, this is really a convention more than a reality, as the feet, knees, sacral point, and adrenal glands all operate as a single unit, although on different energy levels. Thus, physiologically and psychologically, the relationship of these two centers to each other is very close. In fact, in a healthy person, there is considerable overlap. According to Rabbi Aryeh Kaplan, it was the clearing out of this particular channel, the 32nd Path (Tav-Jupiter) that gave King David all of his power. Thus, the Lesser Ritual of the Pentagram allows us to create a space in and around us whereby we can direct our inner creative power for either psychic or physical manifestations. When we know the specific Name associated with our need (sepheroth), god will respond. Not maybe, not possibly, not weakly, but WILL RESPOND. It is this confidence that we must have if we are to fully understand the power of the Names. “The first name is the closest to all created things. It is through this Name that one enters the presence of God the King. Other than through this Name, there is no other way whatsoever that one can see the face of the Blessed King. The Name Adonoy is like a storehouse and a treasury. It holds all influxes and every emanation that is transmitted through all spiritual channels from YHVH. “One who wishes to perceive Eternal Life should attach himself to the attribute of El Chai (Living God), [which is associated with the Sephirah of Yesod - Foundation]. This means that through his prayers, one should bring El Chai into Adonoy. It was regarding this that King David had passion and desire when he said, “My soul thirsts for God, for El Chai” (Psalms 42:3). When the attribute (Yesod), which is called El Chai, is bound to Adonoy (Malkut), then one can draw down all his needs. He can overcome his enemies, no one can stand up to him…. This is important to point out, that we achieve a de facto relationship with Yesod as a result of our working on purification of Malkuth. Malkuth can not purify itself. It requires the energies of the invisible to assist it. Also, by redirecting our energies away from the sensory world, we also, by default, direct them towards the inner, or invisible realm, of which Yesod is our first encounter. Any esoteric ritual, if it is to be such, requires that our energy be directed away from the material and towards the invisible. As soon as we pass this first “Veil” we end up closer to Yesod than when we began. Any dream, vision, impression, or even memory, is from the unconscious, and as such, from “Yesod”. The Elements also two aspects that are often overlooked. Since they are the most dense manifestation of spiritual energy, and are influenced, as we have said, actually an extension of the lunar forces of Yesod, they are also heavily influenced by the forces of Gedulah and Geburah. Geburah represents the forces of Mars, or Elemental forces in action under the presidency of Spirit; and Gedulah represents Jupiter, or the perfect and ideal expression of the Elements as part of the Cosmic Plan, or God’s Will. These forces, can be very potent and at times stringent in their actions, giving the impression that they are ‘hostile’ or ‘evil’ from the very mundane and human point of view. In fact, these forces are ever ready to assist and help us if we are willing to take up the task of our (and their) evolution. When these forces react in a purgative, or purifying manner, they can be seen as “The Four Horsemen of the Apocalypse”. Sagittarius, the sign of the Horseman, has Jupiter as its ruling planet. Here we see that the Four Horsemen, are nothing more than the four-fold expression of Jupiter through the Elements. Jupiter fosters growth and increase in material as well as spiritual endeavors. But this growth can only take place after the ‘deadwood’ of materialism is swept away. If we do not take an active role in this preparation and purification process on the inner levels first, then Nature has little left to do than do the work for us on the outer levels, where it is most blunt, traumatic, and painful from the human point of view. The Qabalistic Cross [xvii] is an intrinsic part of the LRP and constitutes a de facto shortened version of the Middle Pillar. As we open our three principle central centers, and bring into play two of the more powerful side centers, we create a condition of mental, emotional, and physical equilibrium. This is a powerful invocation in and of itself, and can be used as an opening and closing for all esoteric work. The fundamental purpose of the Qabalistic Cross is to open our ability to access none physical energy via our Crown (Kether) and to bring that down to our material (Malkuth) and conscious (Tiphareth) realms. The powers of imagination and energy (Chesed and Geburah) are also called into play, as they then effect the unspoken sepheroth of Yesod, or our unconscious. Together, all of the major central pillar spheres are activated directly, or as in the case of Yesod, indirectly. In one modern school it is not uncommon to pass over the heart (Tiphareth) in silence when intoning “…Malkooth…” and to simply imagine the feet centers as alive and active. When bringing the hands together at the breast during the closing phase, the following phrase is added, either spoken or unspoken: “I am the Rose of Sharon, I am the Lily of the Valley.” [xix] This indicates the inner desire to attain to that state of awareness known as “Rose+Croix”, or where the old Rosicrucian dictum applies: “While they (the Rosicrucian Brothers) wore no outer sign, they knew each other upon meeting.” This is because each had fully awakened their own inner rosy cross and it shown within their aura. Thus, while the Qabalistic cross can be imagined as a large sliver-bluish cross, it can also be imagined later on as a large golden cross with a single unfolding red rose in the center, with an aurial of violet surrounding the four arms of the cross in a brilliant and vibrant circle of light. This “True Name” or “Name of Power” whereby we can tap into our mystical as well as occult powers at will, is the name of our Holy Guardian Angel, or at least a surrogate name, or mantra, that allows us to contact heightened awareness. Lord of Light and of Darkness. In short, any suitable invocation that is short, memorable, and helps us to focus our attention on the highest will do. [i] Here the meditation of choice is on the sphere of Kether on the Tree of Life. Of course the method outlined can be applied to the other spheres as well. [ii] PON Qabala Course, Lecture 12, p. 7-8. [iii] Magick - Book Four by Aleister Crowley, Weiser, York Beach, Maine. 1997. p. 690. [v] PON Qabala Course, Lesson 66, p.1-5. [vii] PON Qabala Course, Lesson 66, p.4. [viii] PON Qabala Course, Lesson 60, p.1. [x] Self-Initiation into the Golden Dawn Tradition by Chic and Sandra Cicero. Llewellyn Publications, St. Paul, MN. 1995. P.17. [xi] Meditation and the Kabbalah by Aryeh Kaplan, p. 128-129. [xv] Malkuth and Yesod (Dion Fortune?) through M. Lembley Brown, A.F. Paper (Qabalah) 3, November 1955. P.3. [xvi] First Steps in Ritual by Dolores Ashcroft-Nowicki, page 113. [xvii] For more information on the Qabalistic Cross see: “The Sign of the Cross” by Mark Stavish, The Stone. [xviii] See Bishop Theodotus's comments on the Sign of the Cross in The Nature and Use of Ritual by Peter Roche de Coppens, Llewellyn, St. Paul, MN. 1987. Or as quoted in: “The Sign of the Cross” by Mark Stavish, M.A., The Stone. [xix] The Secrets of a Golden Dawn Temple by Chic and Sandra Cicero, Llewellyn, Saint Paul, Mn. 1992. [xxi] For more information see: “Abrahadabra - Some Thoughts on the Word” by Mark Stavish, The Stone, and PON Lessons Fundamentals of Esoterics Course, Lesson.